This week has been intense but fun. 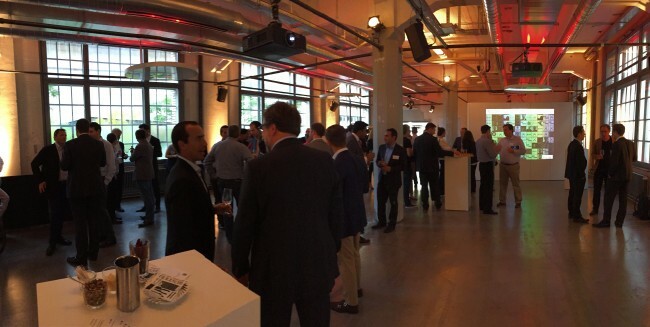 We helped to organise and host four launch events for the UBS Future of Finance Challenge around the world attracting over 350 attendees, starting last Tuesday evening in Zurich, Wednesday evening in London, Thursday lunchtime in Singapore, and Thursday evening in New York. Each event attracted a mixture of suits and sneakers. In other words we had a good mix technology start-ups, UBS and other corporate partners, FinTech accelerators and incubators and a few members of the press and media. The conversations in the room were lively with lots of business cards being swapped. And there were lots of probing and interesting questions for UBS about the motivation behind the challenge and the call to action to transform the future of finance. 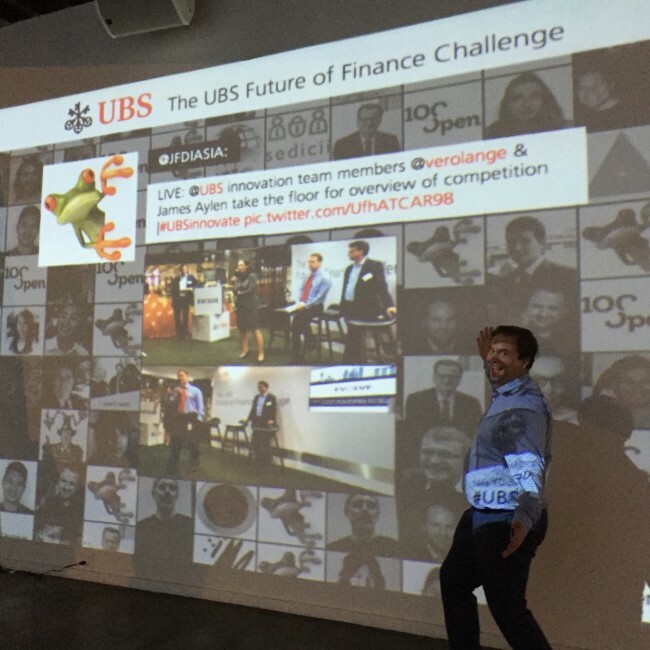 And the the conversations online were amplified by a huge twitter wall – see above featuring UBS’s very own Jestyn Thirkell-White. The events were an stepping stone towards build the diverse network of people and organisations that is so important to tackle the challenges faced by the world of banking and financial services in the future. 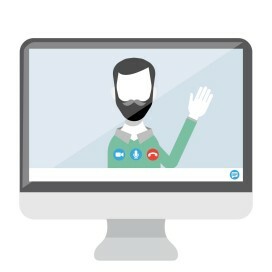 If you missed the events but would like to find out more then there is still time to register now for the Online Briefings next week where we will be running through the exact same information and there will be a question to address any questions you might have about the process, the challenges, or the rewards on offer.